Does a Christening event need a photographer? You are a new parent, happy but tired all the time. Multitasking is not a mit, but a constant in your life now. You are enjoying those little moments with your baby, and time went by so fast that it’s almost christening day. An event once thought should be simple, might give you a flashback of the wedding crazyness. Guests, venues, outfits, parents, siblings,baby food, diapers, strollers, bassinets and that squeaky toy that the baby never plays with. But you’re here for a reason and I will try help you decide giving my experience. This is a once in a lifetime event. 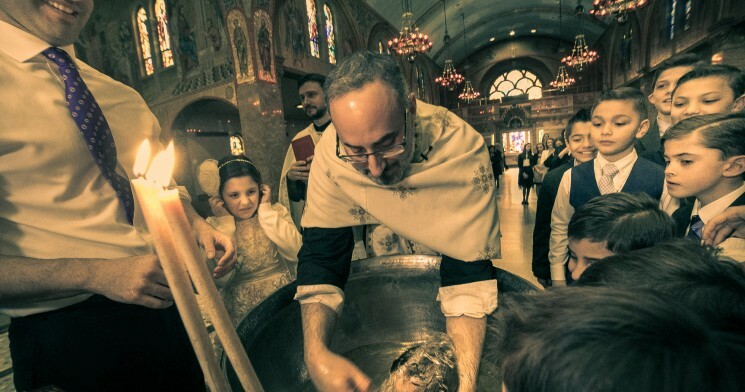 The baby will not understand the meaning of a baptism till later in life. My son loves looking at his christening photos and we talk about it once in awhile. He “remembers” how it was and we explain him the steps and the reason we did it. Now that his younger brother will get baptized , he knows how the service will go and is helping out. You invested an awful amount of time/money into this and besides photos (and maybe video) that’s all you’ll be left with.You know how you remember your grandma whenever you smell pancakes? The same way images trigger a feeling, an emotion and take you back to a time and place. A good image can keep you engaged for hours and you keep discovering new things ,remember everything so vividly. Sure you can capture the moments on your phone, but is it the same? Phones get better and better (se the new iphone commercial shot in low light) and are handier than ever. However they have still a lot to catch up with such as action shots that always come out blurry (exposure times) So all in all it’s a risk and they still don’t capture the moment and feeling professional cameras do. You ARE IN THE MOMENT. You belong. I purposefully hired photographers for both my sons christening just so I/we can be there. (outside of my contacts,some whom are really good photographers and have the same style as mine) It’s not a spectacle, it’s a special day and your heart and soul should attend as well your mind. It’s a sign of respect to your child, for the ceremony, your guests and the officiants. You already have many things and guests to deal and attend to..
Budget. Depending on your planning, this might be a small event with a handful of people and sometimes the photographer would cost you half of the affair. You know better how important is this for you. You don’t really care about this stuff, so why get a photographer.I agree. Some people are just not photo friendly and savvy. Maybe you’re uncomfortable in front of the camera and you don’t want your guests to feel that way either. You don’t want to have an online presence. I agree. I’ve had clients who have prominent positions and want to contend their image and private life. Sometimes they take photos themselves,sometimes they pay exclusive rights to the photos and I have to hand all the images once the project is done. I have something even better for you than my pro and con list. I often find myself questioning if I need that item, service ,or start a new project. The most helpful decision maker for me is how would I feel about it in 5 or 10 years from now? Would I be “nah!”, or would I be ” thank God I did that!” ? Deciding on hiring a professional for your christening or baptism should be simple enough with this in mind.And if budget is your holdback, have someone only for the church and maybe a bit of the reception, or just end of church. In my case, I really really want to be there for the parents who appreciate the importance of a christening and want to capture the emotion of that special day. So if budget is the problem, let me know and let’s work it out. You can still have good photography even if on a budget. But keep in mind: Hard work ain’t cheap!